The last reservation of this item will conclude on April 22. For rentals that require shipping or a pickup at a non-headquarter location, please select a later date for your arrival. Headquarter offices are the only locations that can accept a same-day reservation, as transit time is not calculated in this date. The Canon C300 Mark II PL Mount Cinema Camera with Dual Pixel CMOS AF has improved upon its predecessor, the Canon C300 PL Mount Cinema Camera, with internal 4K shooting, expanded built-in neutral density filer stops, and increased light sensitivity. 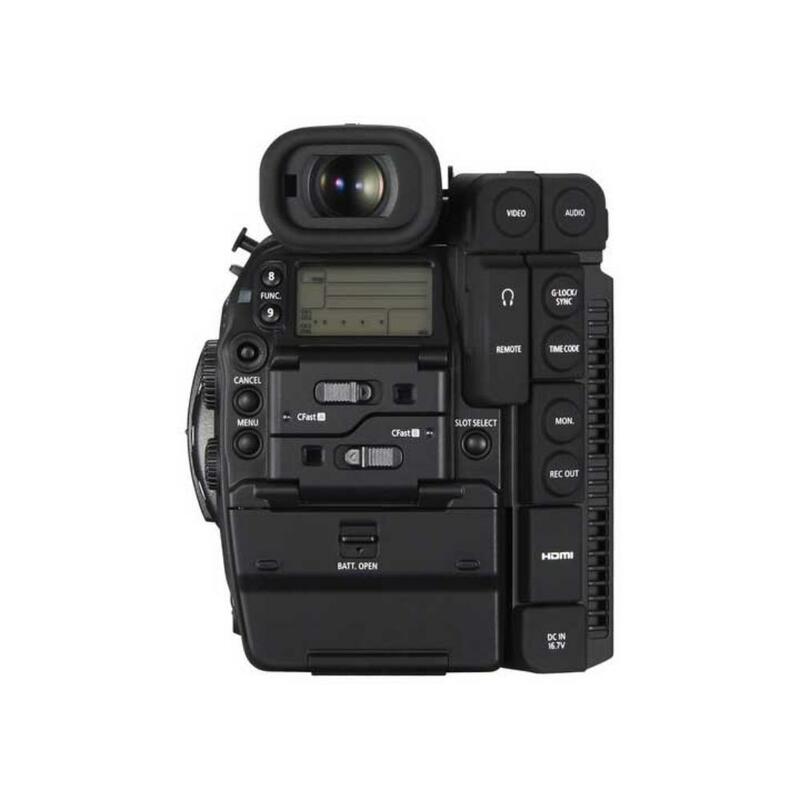 It features faster and more accurate autofocusing thanks to Dual Pixel CMOS AF technology, which deploys two photodiodes within each sensor photosite for powerful phase detection that ultimately helps ensure that proper focus is always maintained, even in unpredictable "run and gun" news or documentary-type shooting situations. In addition to internal 4K and 4K RAW output, the C300 Mark II also supports super slow motion shooting at 120 FPS when in Slow & Fast Recording mode at a cropped 2K or HD. Simultaneous recording at different resolutions/frame rates can be done both internally with CFast cards (not included) and externally with recorders, like the Video Devices PIX-E7 7" 4K Recording Video Monitor (not included). Canon Log Gamma 2 was designed specifically for this camera's 10-bit recording capabilities. It is ideal for color correction/grading in post production and can provide a dynamic range up to 1600%. To create digital files robust enough for major post production work, the C300 Mark II delivers high image quality with its XF AVC Codec – an H.264 format wrapped in the widely-supported MXF wrapper. The C300 Mark II offers a compact and modular design with a bright 1.55MP EVF and a removable 4" LCD monitor with control panel. It boasts a logical dial layout with backlighting and can be rigged up or stripped down according to your production needs. The dust-proof and splash-proof design includes sealing gaskets around the edges of all access covers, dials fitted with o-rings on the axis of rotation, and button key-tops sealed with rubber. The built-in cooling system ensures the camera runs cool and, therefore, quietly. The C300 Mark II is designed with filmmakers' needs in mind and is ideal for documentarians, journalists, wedding and event shooters, corporate work, and independent movie makers. Please note that this is the PL mount version of this camera. 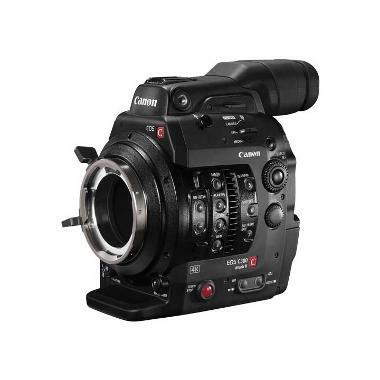 For the EF mount version, please see the Canon C300 Mark II EF Mount Cinema Camera with Dual Pixel CMOS AF. • This is the PL mount version of this camera. For the EF mount version, please see the Canon C300 Mark II EF Mount Cinema Camera with Dual Pixel CMOS AF. • Dual CFast card slots available for internal recording up to 4K. CFast 2.0 cards only – CFast 1.0 cards are not compatible. The file format used for all clips is MXF (Material eXchange Format). CFast cards are not included. • Two SDI terminals (REC OUT and MON) can output 4K RAW video to an external recorder (not included). The external recorder must be compatible with Canon RAW files. For more on connecting to an external recorder for 4K RAW shooting, please see page 167 of this manual. 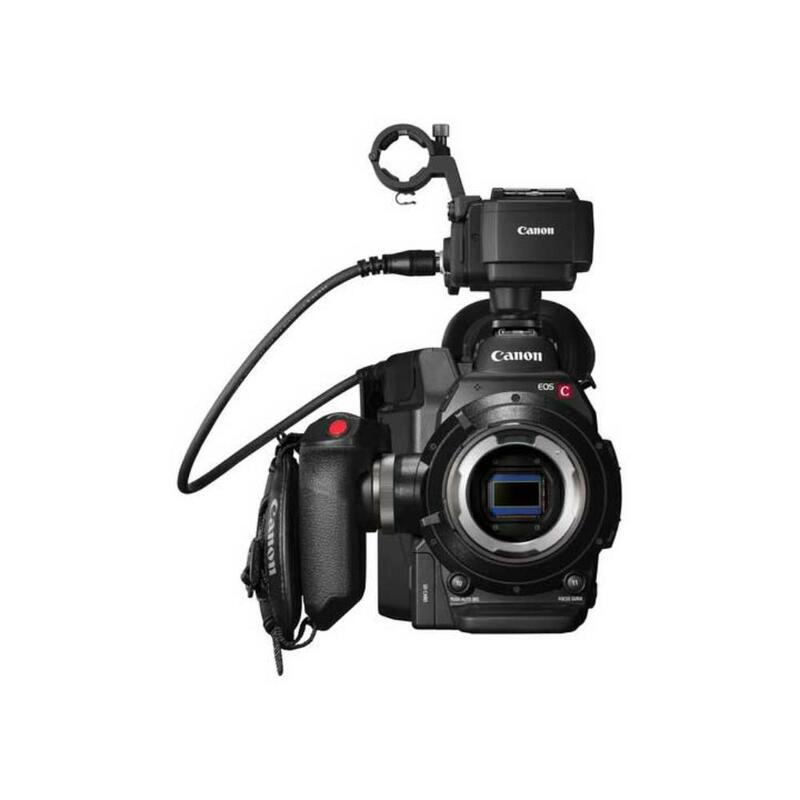 • This C300 Mark II is likely not compatible with C300 rig and power accessories. Plan accordingly. • We make every attempt to have a fully charged battery for you but we can’t guarantee it 100%. If you need a fully charged battery, please request it via the order notes. This camera is also compatible with the BP-A30. It comes with (1) BP-A60.